Home / School Activities / Giving back to the Community! Recently a number of our students participated in some community service here in the Lakefield area. The Pan, situated in the centre of Lakefield, has recently started accumulating quite a bit of litter and debris, causing pollution to the area and affecting the overall look and tranquillity there. 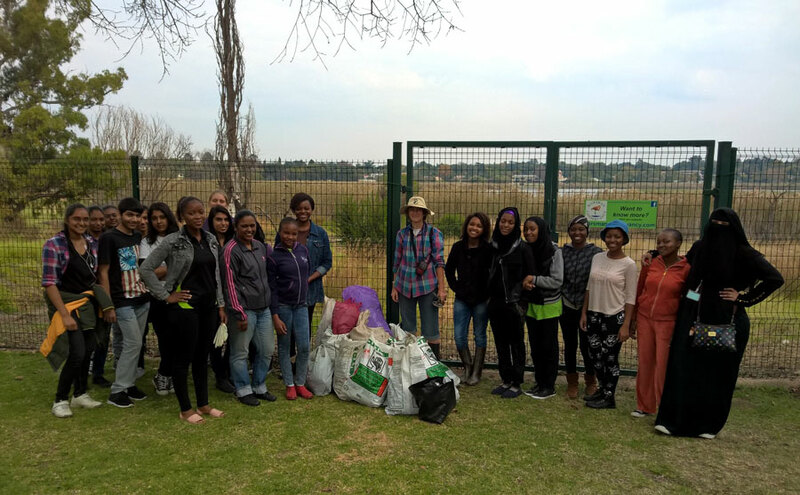 Students spent the day gathering up litter and de-weeding, in an effort to help improve the situation. We are proud of the willingness and motivation of our students and always encourage them to do well, thanks to everyone involved, for another community service project gone well!